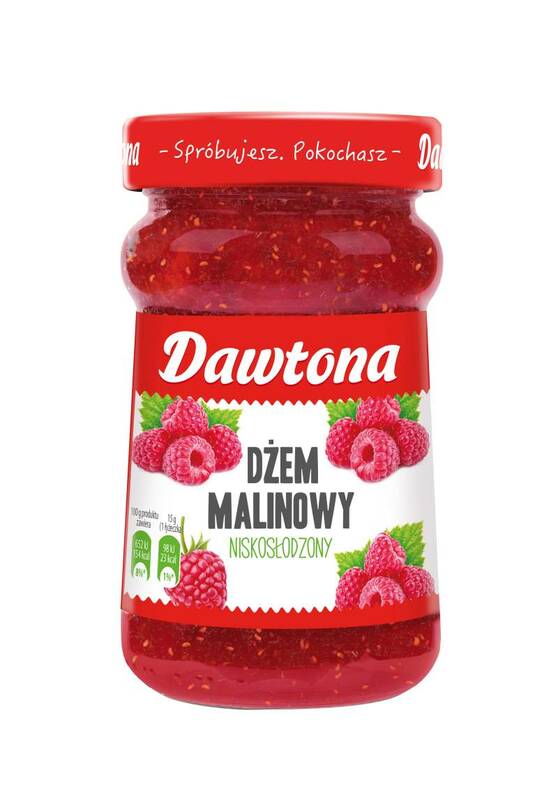 Our raspberry jam tastes just like from grandma’s pantry. Juicy and aromatic raspberries closed in the jar allows to momentarily conjure up flavorful memories of the summer and childhood. Added on top of fresh, crunchy bread will create delicious, light breakfast or a snack. Great as an addition to pies, cakes and pastries. Product available in 280 g jars. Corn next to wheat and rice is a one of most popular crop plant in the world. Not without a reason – nobody can resist naturally sweet, crunchy corn. 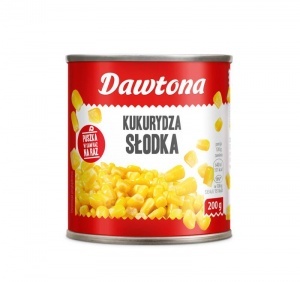 Now also available in new, smaller can – 200 g. Delicious corn in more handy package with easy open system is a great idea for a snack – in work, school or during a trip. With smaller can “for one use” you can be sure that no leftovers will be wasted. The product available in 200 g cans. Peas are one of the most versatile vegetables in the world! Peas go well with almost any salad and soup, not to mention meat dishes – sweet to spicy. 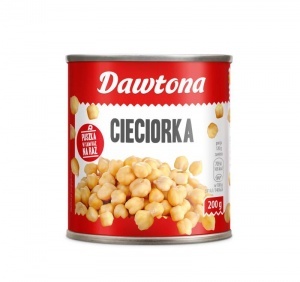 Now also available in new, smaller can – 200 g. Smaller, more handy package with peas is a great option for moms, which want to give for their children healthy and tasty addition to a meal. With smaller can “for one use” you can be sure that no leftovers will be wasted. The aroma and flavor of a traditional bean soup in just a few moments? Our canned white beans allow you to save the time previously spent on soaking the beans! Now also available in new, smaller can – 200 g. Just open a can to prepare your favorite dish. Perfect for baked beans. Smaller cans can easily help with portion measure for everyone, who wants to stay fit. Red bean are a classic staple of Mexican cuisine, rapidly conquering kitchens throughout the world. Filling, full of precious potassium and phosphorus, they are an excellent meat alternative for vegans. Lately very popular as an addition to cakes – blended can easily be used as a basis for baking. Now also available in new, smaller cans – 200 g. Perfect amount for a smaller meal or on-the-go snacks. Well-known and popular in Mexico for hundreds of years. Sweetish in taste, black beans form a delicious duet with herbs. 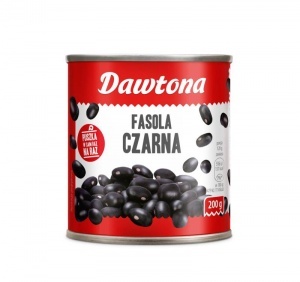 Now our black beans are also available in new, smaller cans – 200 g. Great as a protein addition to meals of as ingredient for more complex vegetarian dish. Chickpeas, otherwise known as garbanzo beans, are the true stars of Mediterranean cuisine. hey are also a popular dietary staple in the Middle East. Chickpeas served in the form of hummus are especially delicious with pita bread! New 200 g package allows to prepare a small portion without wasting leftovers. A serving of health and energy for beet lovers! Beet juice with apple is an excellent idea for workaholics. It is a perfect addition to the menu of those in need of immunity boost and an extra dose of energy. Beets are highly valued due to their health promoting properties. 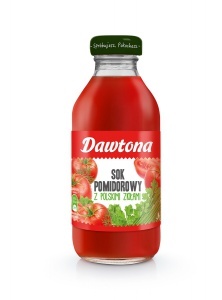 Enriched with the juice of ripe, Polish apple as well as celery and ginger puree, it is both light and rich in taste. Time for a break! Product available in 330 ml glass bottles. 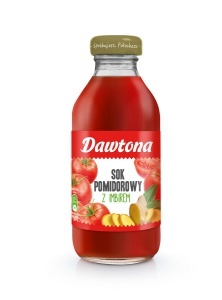 For amateurs of traditional Polish flavors! 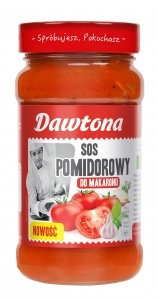 Tomato juice with Polish herbs is a fragrant and appetizing dose of energy to be enjoyed every day. The distinctive taste and smell of lovage, parsley, dill and chives create a healthy, green mix that is hard to resist. You are one sip away from falling in love! A serving health, energy and beauty! Tomato juice with celery will appeal to all those who care about staying fit, healthy and beautiful. Crisp celery stalks and leaves cleanse the body and help get rid of extra weight, while having a positive effect of the condition of skin. Fresh taste and crisp aroma make this juice an ideal source of refreshment. A real treat for ginger lovers! Tomato juice with ginger is a treat for the amateurs of more intense flavors. Famous for its health benefits, this Asian plant with a characteristic, subtly spicy taste and slight lemony flavor perfectly complements the sweetness of sun-ripened tomatoes. Tomato juice with ginger refreshes, energizes and stimulates to action. It is worth having with you at all times!